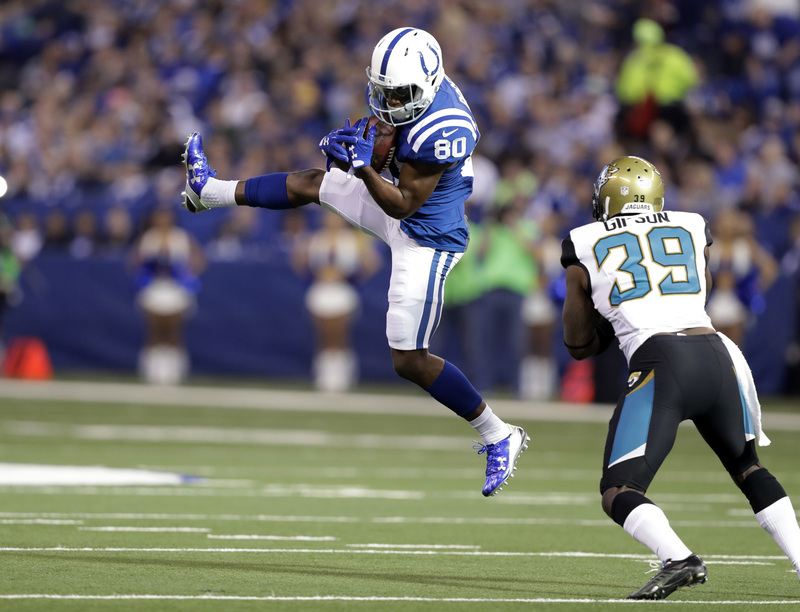 Indianapolis Colts wide receiver Chester Rogers knows a good completion when he sees it. He completed his education at Grambling State University last year but couldn’t walk across the graduation stage because he wanted to prepare for training camp. He returned to his alma mater last week to walk across the stage and bask in the celebratory moment with family, former teammates and friends. He was signed as an undrafted free agent last year, but he didn’t forget his roots at Grambling. “This is a once-in-a-lifetime experience. … I wanted to be able to go and graduate and get my degree,” said Rogers, a native of Huntsville, Alabama. Athletic director Paul Bryant shook Rogers’ hand as he was handed his degree on stage and said it was Rogers’ character and determination that brought him back to Grambling. Rogers brought his parents, older brother and grandparents along to witness his accomplishment. “Although he is playing professional football, the average years in the NFL is three to four to five years. As he makes his money, he has to have the wherewithal and knowledge base to be able to manage his money,” said Bryant. Rogers said he has always believed that education was critical to being successful in life. Last year, he established the annual Chester Rogers Perseverance Scholarship Award for a well-deserving walk-on player at the university. Rogers went from being a walk-on player, paying to attend school with a combination of student loans his first two years, to becoming Grambling’s leading receiver in 2013 and 2014. The scholarship winner, who will be announced in November, has to complete an essay, be a walk-on for the Tigers, have a 2.5 grade-point average and possess great character. “I genuinely find happiness in helping others who deserve it,” Rogers said in a recent Instagram post. Last year, his world began to slowly change after he ran a 4.49 40-yard dash, catching the attention of numerous scouts at Grambling’s pro day. He missed his own graduation because he wanted to practice to get ahead of the playbook. Last season, he had 19 receptions for 273 receiving yards, averaging 14.4 yards per catch; he also had 119 total return yards, including his longest punt return of 36 yards. “It was very important for him to come back and graduate, because at the end of the day he has a degree and no one can take that away from him at all,” said Grambling defensive lineman Donovan McCray, one of Rogers’ former teammates. Indianapolis Colts wide receiver Chester Rogers (No. 80) makes a catch over Jacksonville Jaguars safety Tashaun Gipson during the first half of their game Jan. 1 in Indianapolis. Although he has a passion for football, his favorite memory at Grambling was becoming a member of the Gamma Gamma Chapter of Omega Psi Phi fraternity. Rogers hopes for an even more successful second season, by working hard and changing lives. “It was an exciting first year, and I learned a lot. It was an amazing experience to make your dreams come true,” said Rogers. Rogers describes the experience of attending a historically black institution as a once-in-a-lifetime event. “My HBCU experience was very important to me. I learned a lot about myself, so much about life and how to persevere,” Rogers said. “He is a very talented young man on the field, and now he has a degree to back him up,” said McCray.